Dr. Anita Price Davis Ed.D. REA’s MAXnotes is an insightful series of literature study guides covering over 80 of the most popular literary works.MAXnotes study guides are student friendly and provide all the essentials needed to prepare students for homework, discussions, reports, and exams. 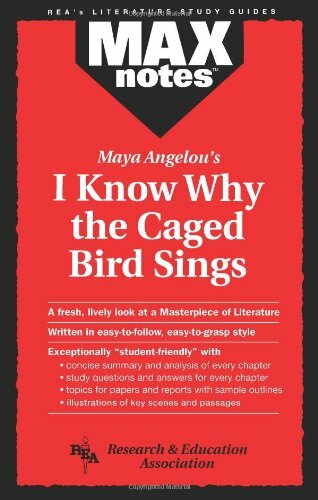 Our MAXnotes for Maya Angelou’s I Know Why the Caged Bird Sings study guide includes an overall summary, character lists, explanation and discussion of the plot, overview of the work’s historical context, and a biography of the author. Each section of the work is individually summarized and includes study questions and answers. Our Maya Angelou’s I Know Why the Caged Bird Sings MAXnotes study guide is a handy resource when preparing for exams or doing homework, and it makes a great companion to the original work.The Maya Angelou’s I Know Why the Caged Bird Sings MAXnotes is also an invaluable resource for English teachers who are teaching the original work and need a refresher. Each MAXnotes includes topics for term papers with sample outlines.